BARBADOS GIRLS CLINCH RECORD EQUALLING 14th TEAM GOLD! BOYS FINISH STRONG TO GRAB THE BRONZE. 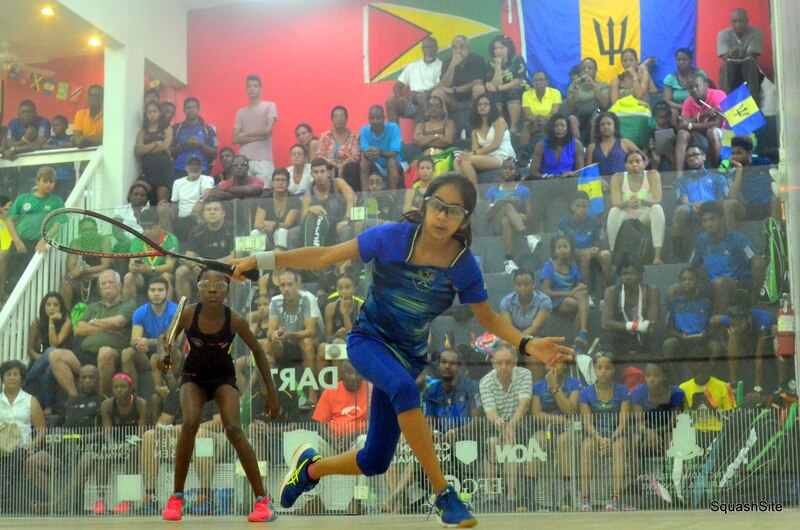 The broken trident flew proudly at the South Sound Squash Club this afternoon (Saturday) as Barbados’ young team of girls, captained by 16 year old Amanda Haywood, confidently defeated perennial rivals Guyana by three matches to two to claim its second team gold in as many years and its 14th in total, equalling Guyana’s gold medal haul in this event. 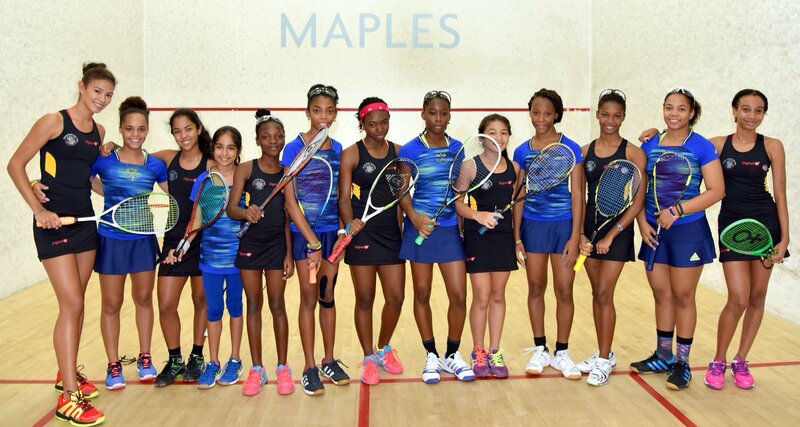 Barbados girls squash team (in blue) vanquished Guyana 3-2 to claim its 2nd straight team gold medal and 14th in total in 34 years! 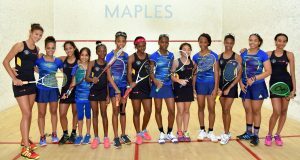 With Barbados’ trio of Caribbean individual champions in the U-13, U-15 and U-17 age groups facing a Guyanese team that contained both of the U-19 finalists the final result could be confidently predicted and there were no surprises as Sumairaa Suleman, Meagan Best and Amanda Haywood all won by three games to love to give team Barbados an unassailable lead in the tie. The boys team defeated the OECS 4-1 to claim the bronze medal this afternoon (Saturday). 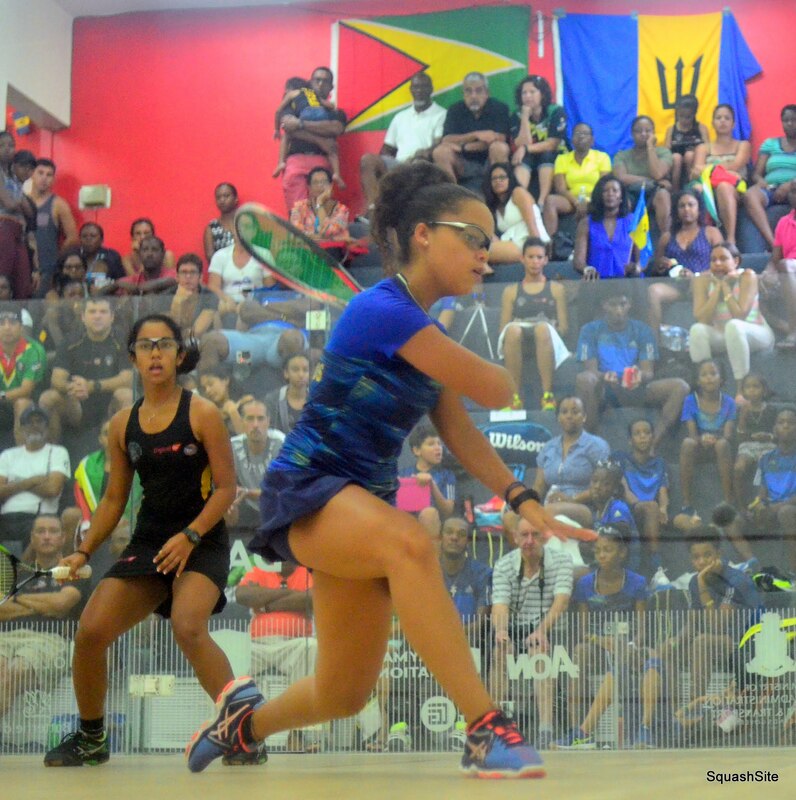 Guyana beat Cayman Islands in the boys team final 4-1 and by winning Guyana retained its overall team trophy for an incredible 12th successive year!